Ice Rink Liners - Ice Rink Tarps | Reef Industries, Inc. 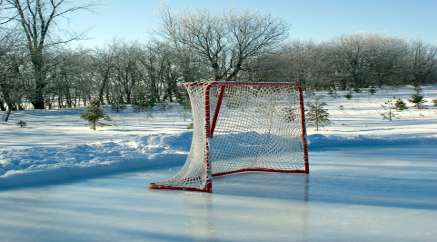 Creating an ice rink or hockey rink and need a liner that will help you maintain a solid foundation without leakage? 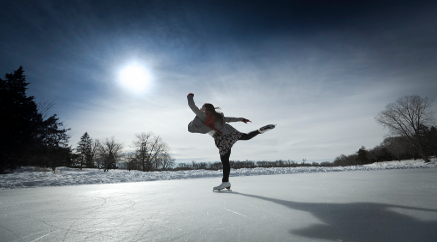 Permalon® is a uniquely engineered geomembrane ideal to line ice rinks of any size. Its patented construction yields the best weight to strength ratio available and provides exceptional tear and puncture resistance. Permalon® is not prone to environmental stress-cracking (ESC) so it can endure repeated thermal cycles. Reef Industries’ ice rink liners are internally reinforced and are available in a 9 mil thickness. No material offers a better balance of properties or more proven performance and reliable durability. Designed to be lightweight and easily handled, Permalon® ensures a cost efficient installation. Individual panels of an acre in size are readily done.